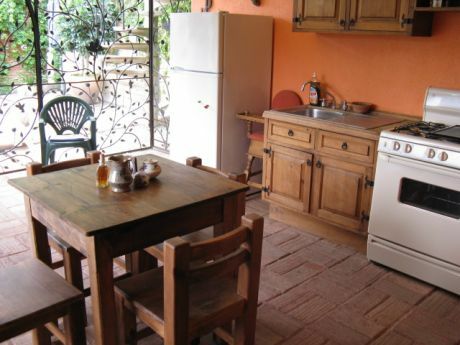 CASA MACHAYA OAXACA BED & BREAKFAST is unique among Oaxaca bed and breakfast accommodations: we rent an entire level of our modern, traditionally styled home to one family at a time. Privacy with your own entrance: •	eat-in kitchen; •	patio with lawn chairs, stone table and four chairs, free-standing umbrella; •	bedsittingroom with queen, futon, cable with DVD, 3 piece wicker settee; •	extra bedroom with full size bunk beds; •	3 piece washroom. 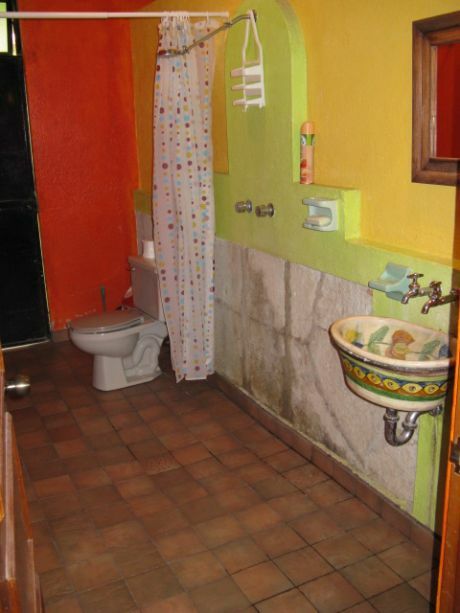 Your Canadian hosts spent four years building their hillside home with spectacular panoramic vistas using a Oaxacan architect, so you’re assured of traditional Mexican flare, color and design, yet with all the conveniences of home without any cultural surprises: •	an abundance of hot water for showering, and unlimited drinking water; •	the little things such as microwave, electric juicer, coffee maker and blender (and the usual appliances); •	and even a comfy cot for taking a late afternoon snooze. 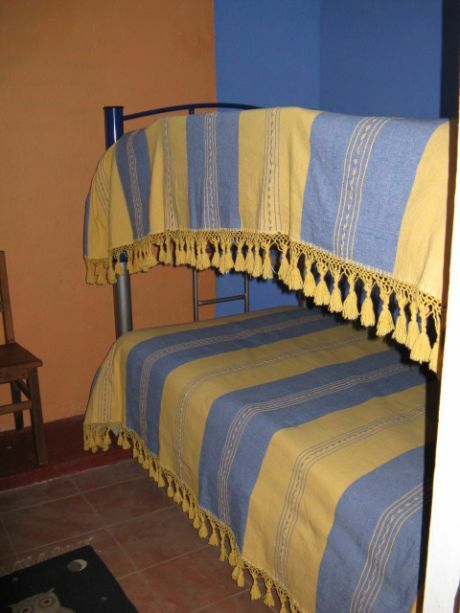 Country inn style Oaxaca lodging. We have one queen, a set of full bunk beds, a large futon and a crib. 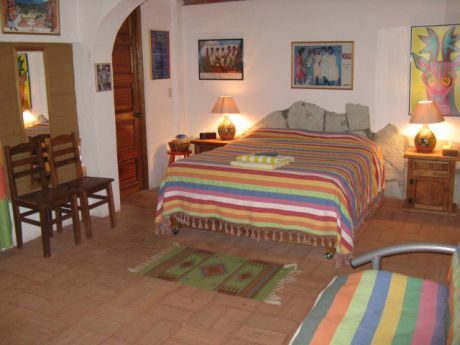 Casa Machaya Oaxaca Bed & Breakfast is about 10 minutes outside of downtown Oaxaca, The closest landmarks are the Fuente de Las Siete Regiones, ISSSTE, and the medical school. We're south of Guadalupe Victoria, and south and west of San Felipe del Agua neighborhoods. For 2010, our weekly rate for either an individual or a couple is $475 (all figures USD), total (6 nights), which includes complimentary drinks and snacks upon arrival, supply of breakfast foods (cereal, eggs, fresh fruit and rolls, tea, coffee, condiments, etc.---please advise of any dietary restrictions) and weekday morning drives to the downtown location of your choice including to the Monte Albán bus depot, language schools, etc (takes about 10 - 15 minutes to the zócalo; or if you prefer, taxi and bus service is about 2 blocks from the house; walking to downtown is along predominantly quiet streets, some of which are cobblestone, and takes perhaps 40 minutes depending on the individual. I walk briskly, and it takes me 25 minutes to get to the beginning of the Centro Histórico). 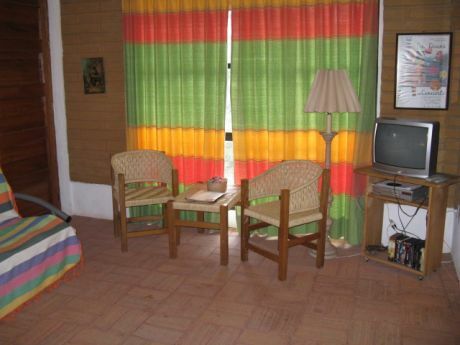 We also offer reasonably priced internet (free if you bring your own laptop) and laundry facilities, tour guide and chauffeur services, as well as private cooking lessons. The above weekly rate applies to 47 weeks of the year. For the two weeks leading up to New Years, Day of the Dead week (including November 1 or 2) and the weeks which include the last two Mondays of July (Guelaguetza), the rate is $565. If there are three or four persons, for the foregoing “special” weeks the rate is $655 or $745 respectively, and during the rest of the year it is $565 or $655 respectively. If your stay is for more than a week we simply pro-rate. If it is for less than a week, regardless of the number of days we simply discount the weekly rate by 15%. A monthly (4 week) rate without breakfast is available upon request. If you cancel at least 60 days prior to your scheduled arrival date, we refund 100% of the deposit we receive, less a $75 administration fee. If you cancel at least 30 days prior to your scheduled arrival date, we initially refund 50% of the deposit less a $75 administration fee, and if we are successful in re-renting thereafter, to the extent that this enables us to refund the balance less the $75, we will do so. If you cancel less than 30 days prior to your scheduled arrival date, to the extent that we are successful in re-renting, we will refund the deposit less a $75 administration fee. Deposits / Fees: Generally deposit is 50% of full cost.